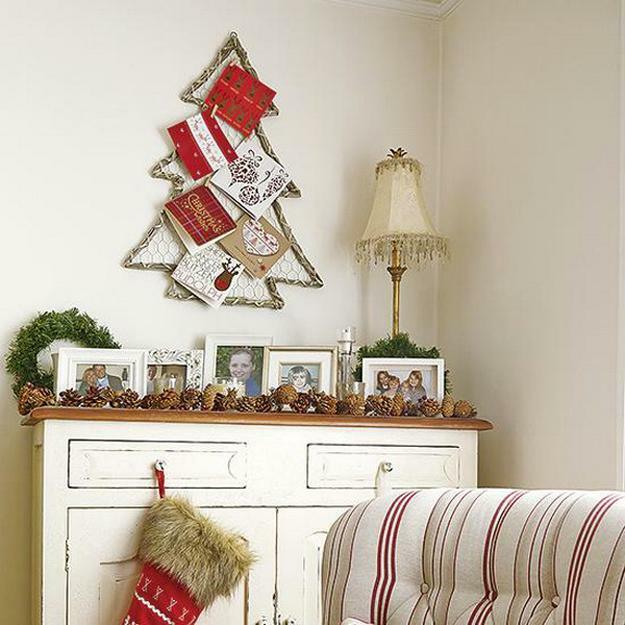 Recycling ideas can help declutter your home and save money on Christmas decorating. 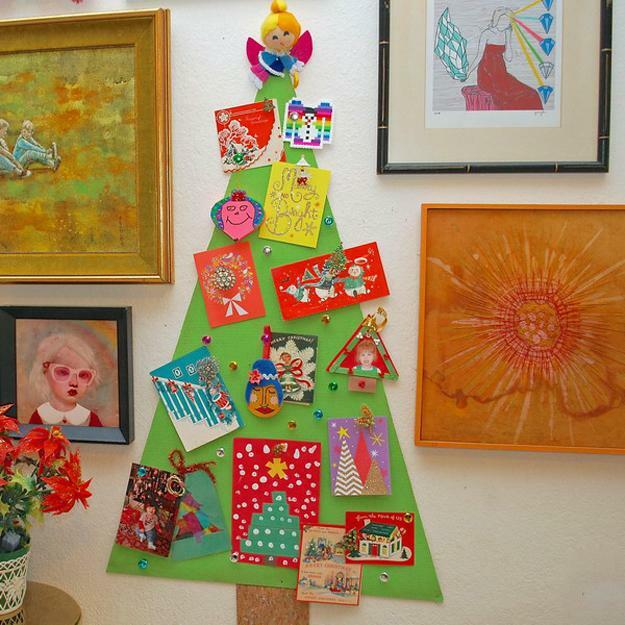 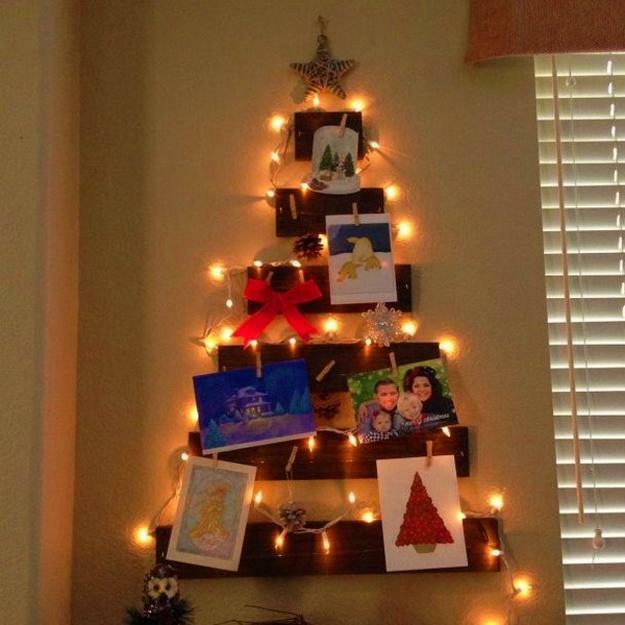 You can design a wall Christmas tree with new and vintage Christmas cards and enjoy your space-saving holiday tree idea. 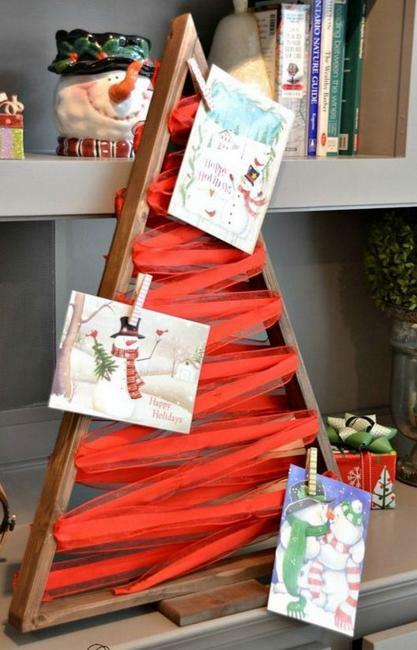 When it comes to Christmas trees created with holiday cards, they look original and colorful, adding beautiful wall decorations that enhance winter holiday decor. 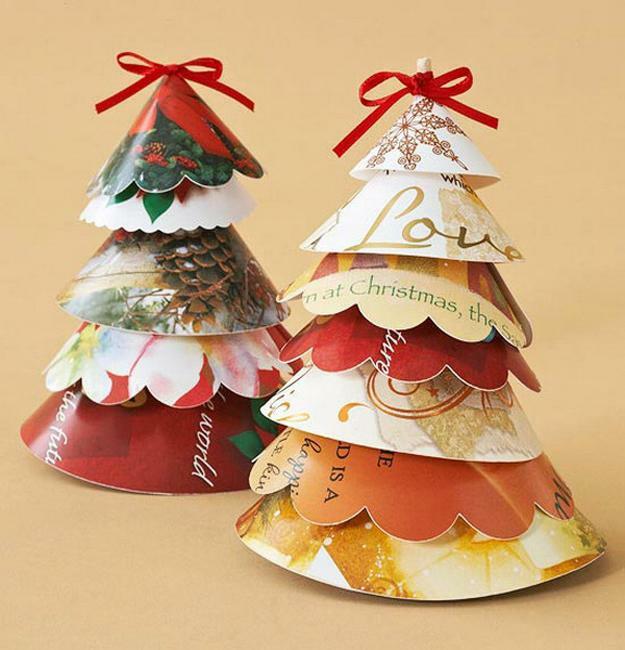 Paper crafts with modern and vintage Christmas cards are excellent for giving an artistic touch to your festive home while saving money and space in your rooms. 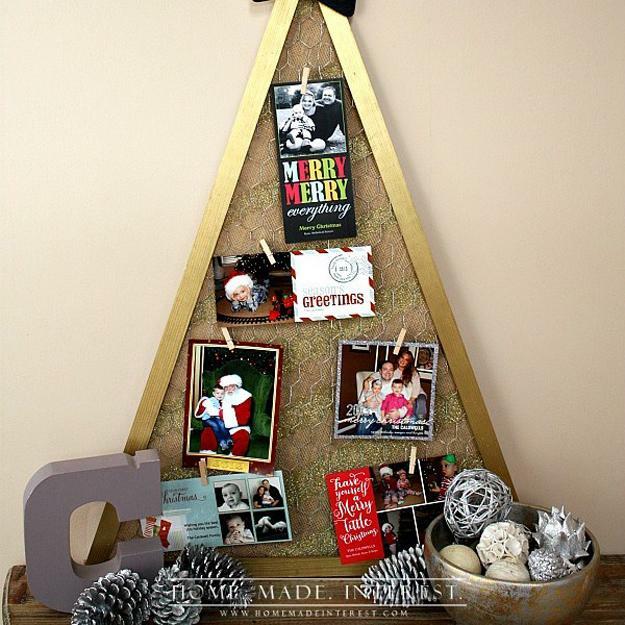 Check out the Lushome collection of creative ideas. 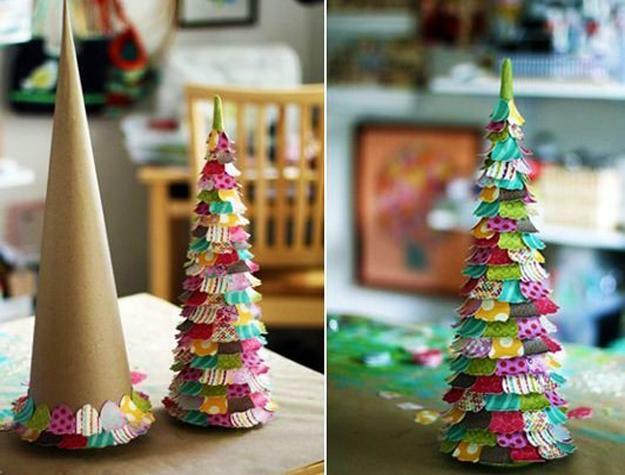 Find the best way to make the decorations for your winter holidays. 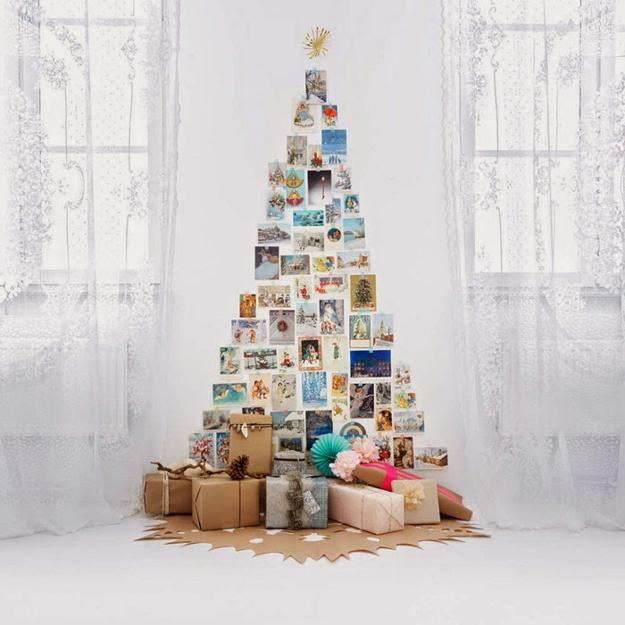 You can use entire cards or cut ornaments and follow a selected Christmas tree theme, such as geometric shapes, snowflakes, snowballs, stars, hearts decorations or other your favorite images. 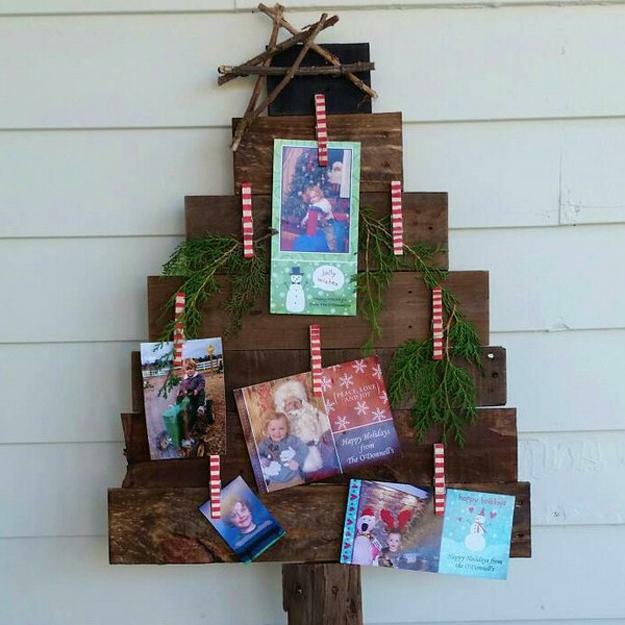 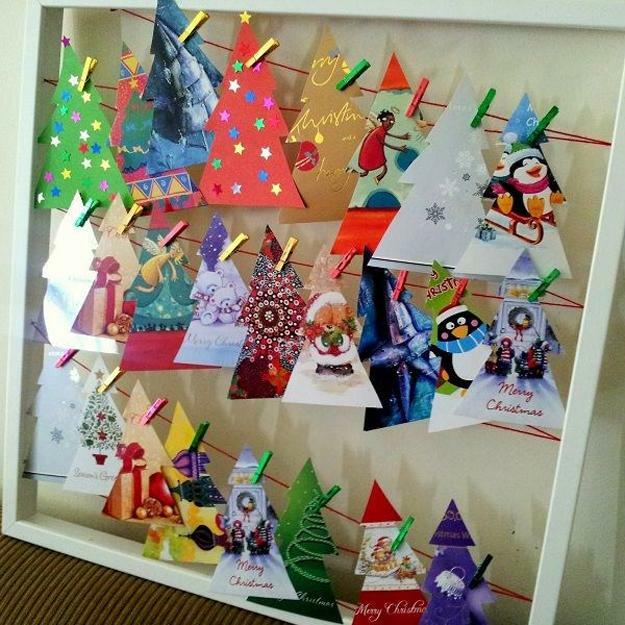 You and your kids can make beautiful wall decorations, design miniature Christmas trees or arrange a large tree on a wall while recycling cards. 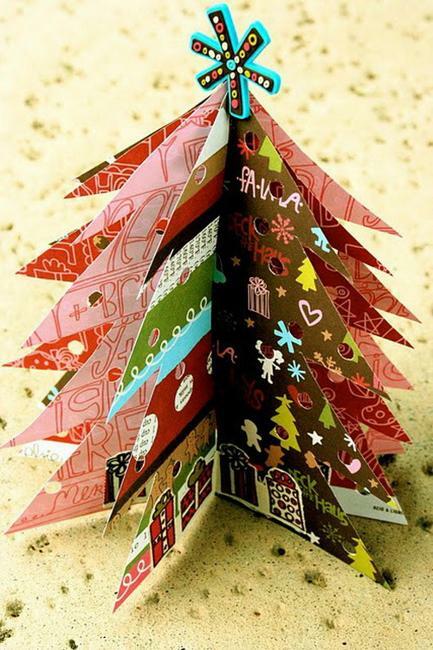 These paper crafts and designs are beautiful, eco-friendly, and fancy. 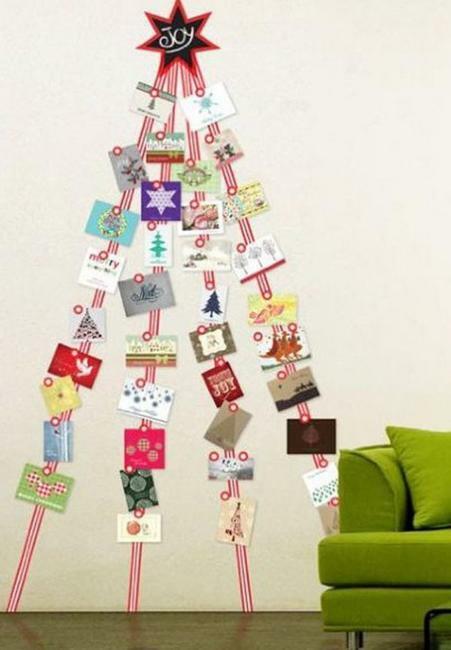 The wall Christmas tree decorations are cheap ideas that are original, bright, and attractive. 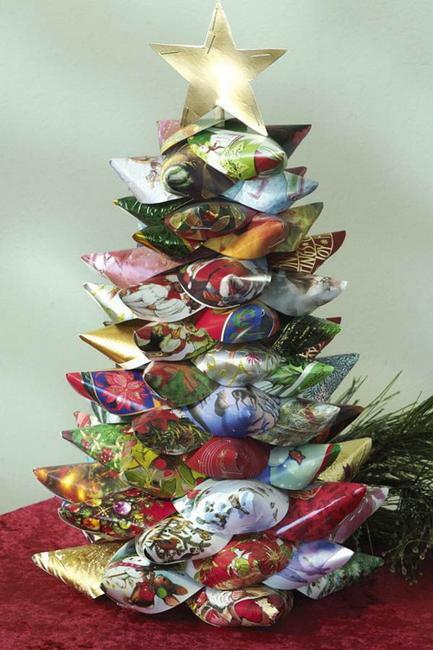 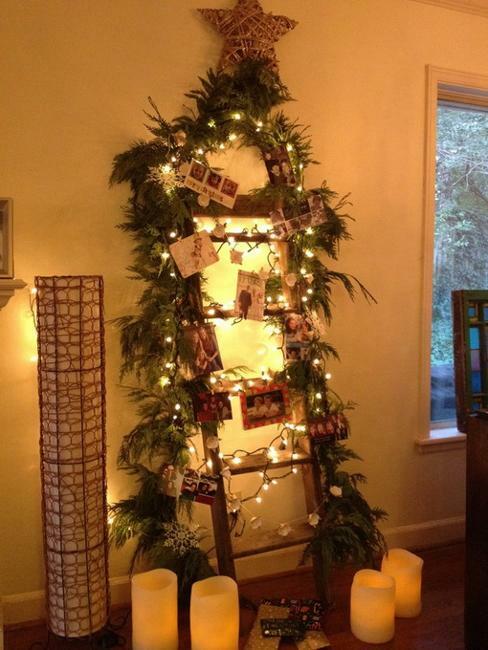 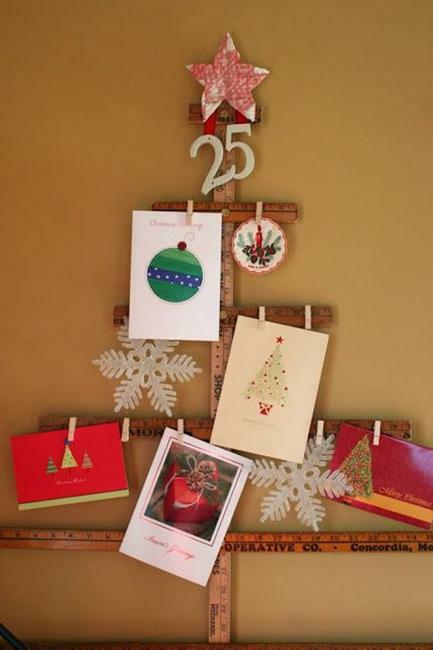 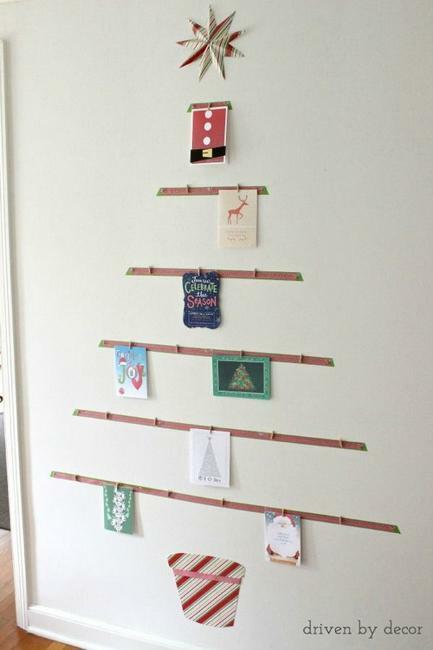 A wall Christmas tree design can reflect your family’s history if you reuse and recycle old cards. 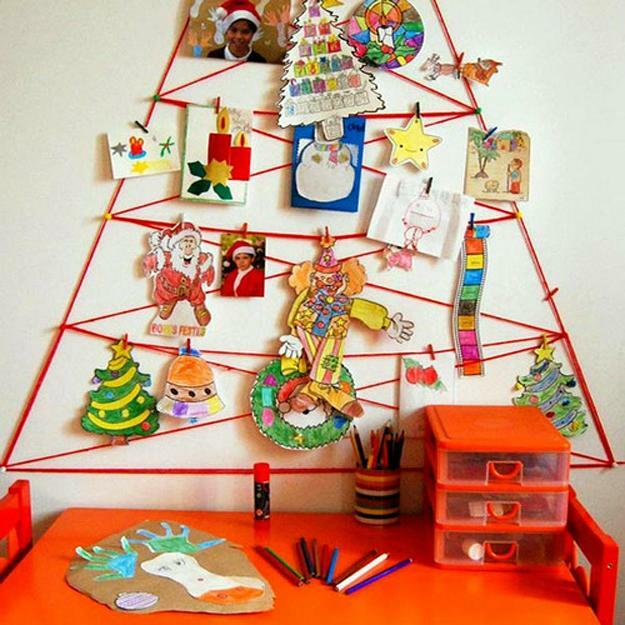 Your wall decoration will make some lasting memories while setting a new tradition of recycling and enjoying the Green holiday with eco-friendly decorations. 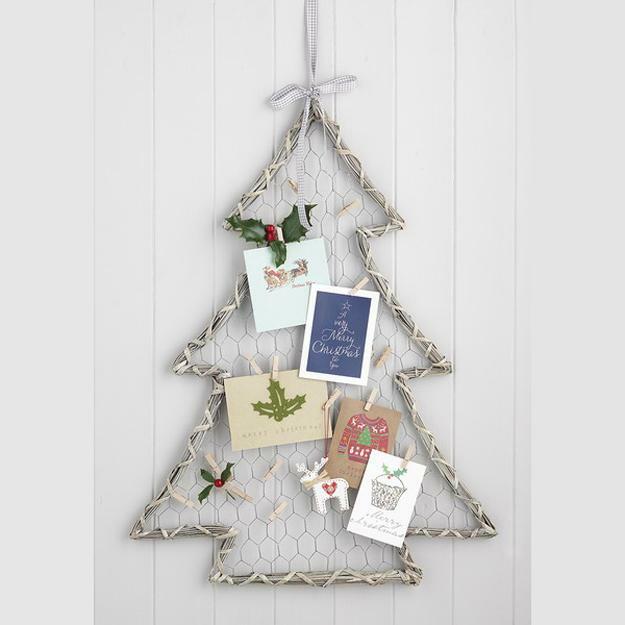 You can talk about events, relatives or friends who sent you the Christmas cards. 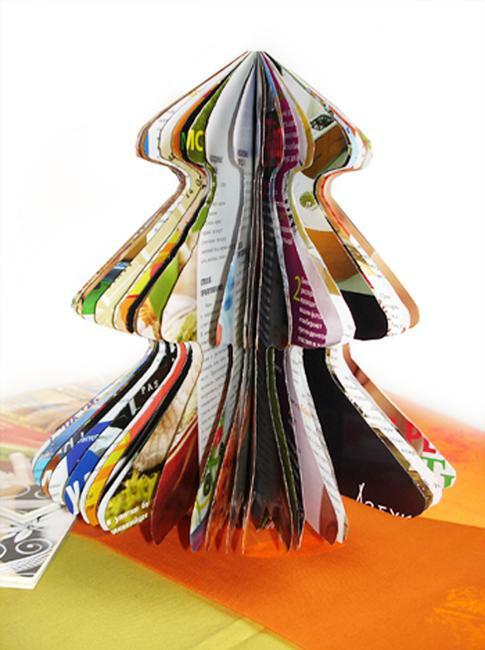 After the winter holiday season, you can save your design for next Christmas. 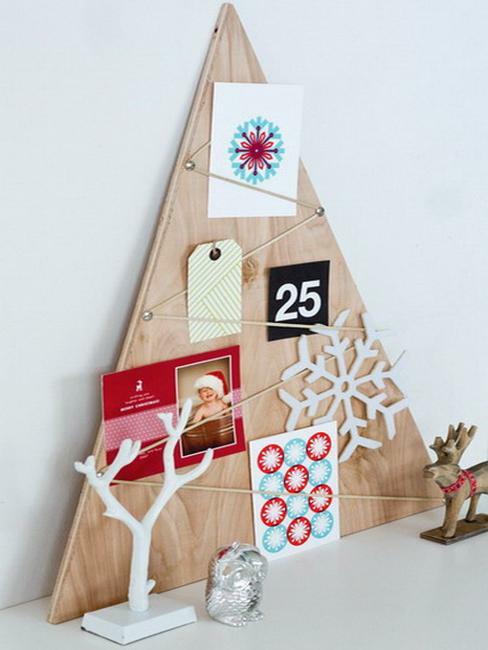 Consider various Christmas tree decorating themes. 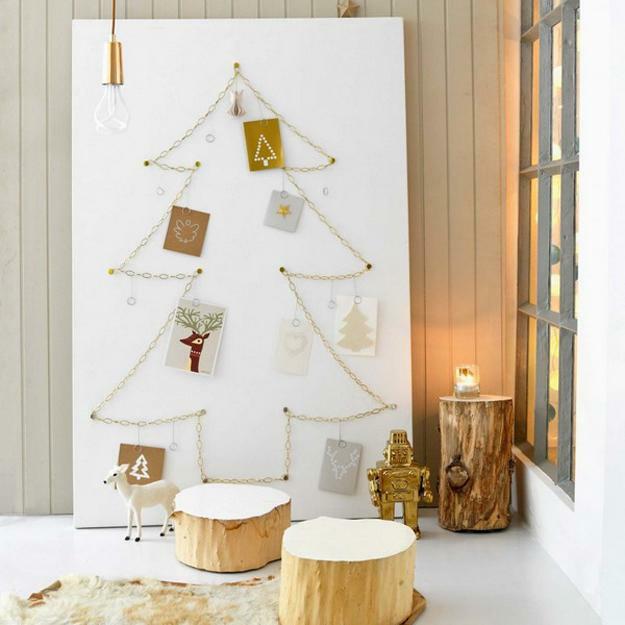 Once it is time to design your Christmas tree with cards, plan adding tinsels, handmade Christmas decorations, string lights, and traditional holiday balls to personalize your unique wall decoration. 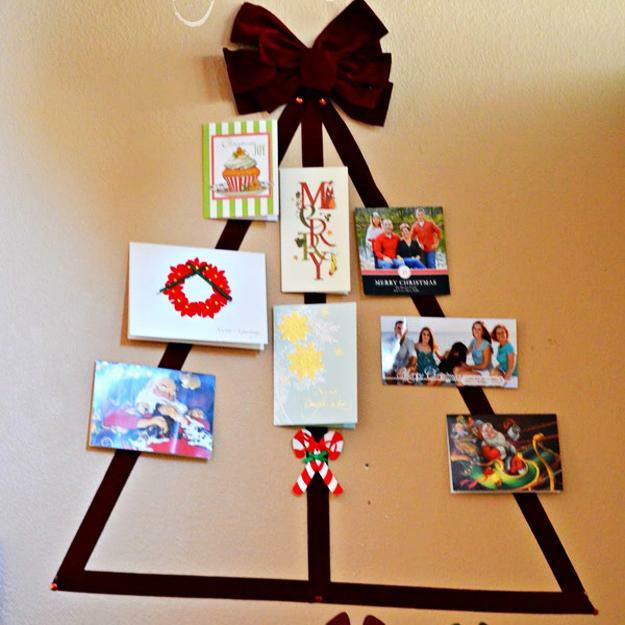 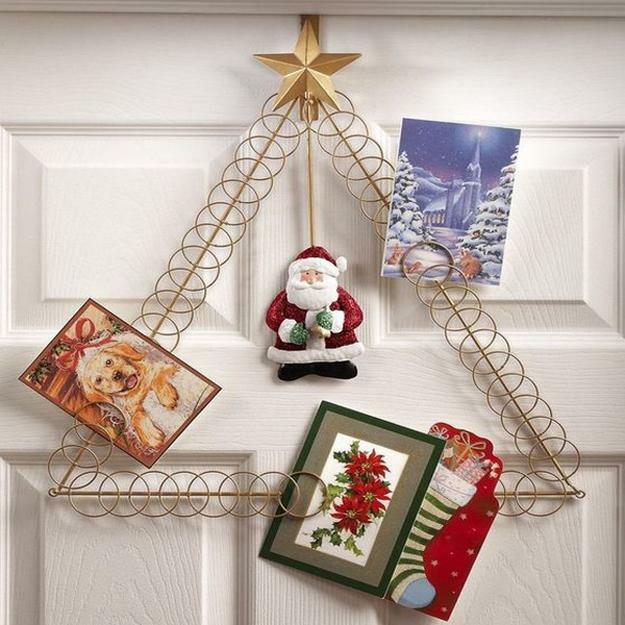 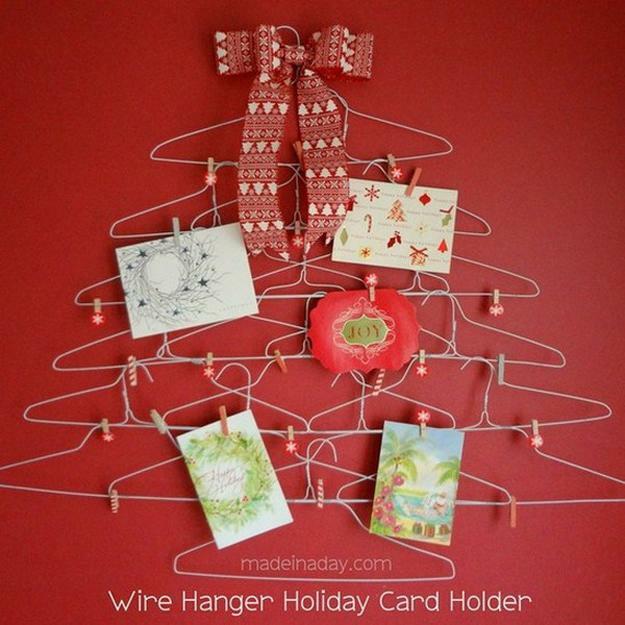 Let your family members add their own personalized Christmas tree ornaments to the card tree on the wall. 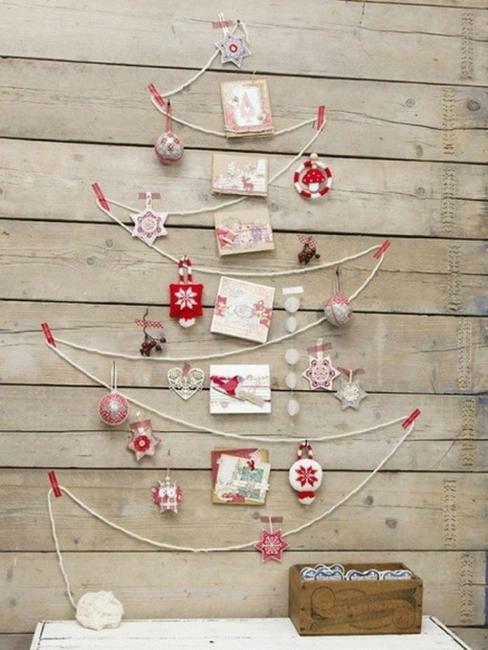 The Christmas tree will become more precious with handmade Christmas decorations and accents. 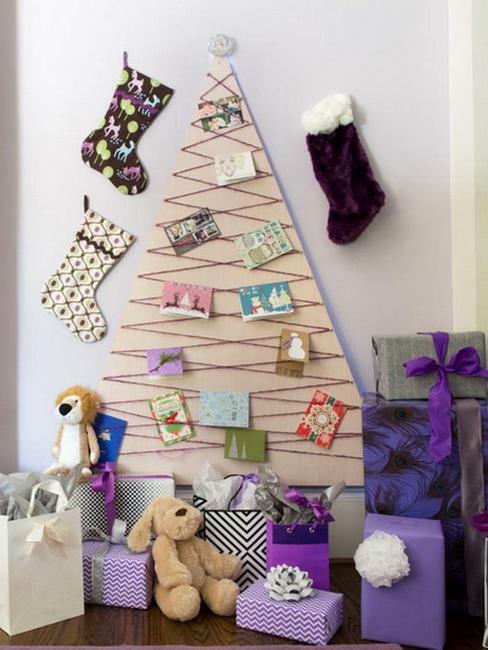 Designing a wall Christmas tree is a fantastic idea for recycling and eco-friendly winter decorating. 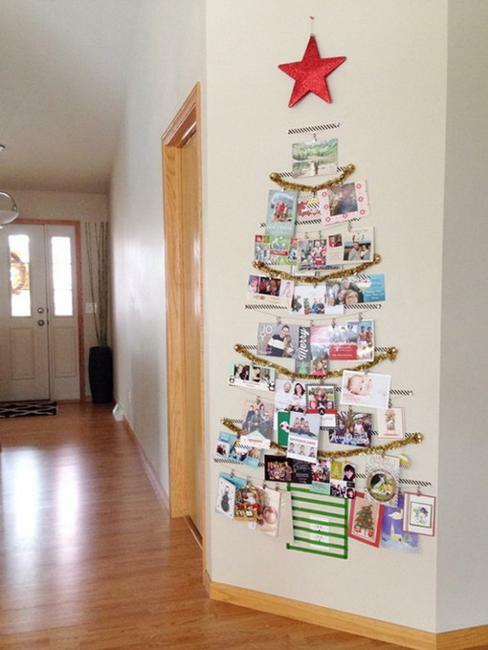 Your kids will look forward to sorting and arranging Christmas cards and making more decorations for the alternative Christmas tree. 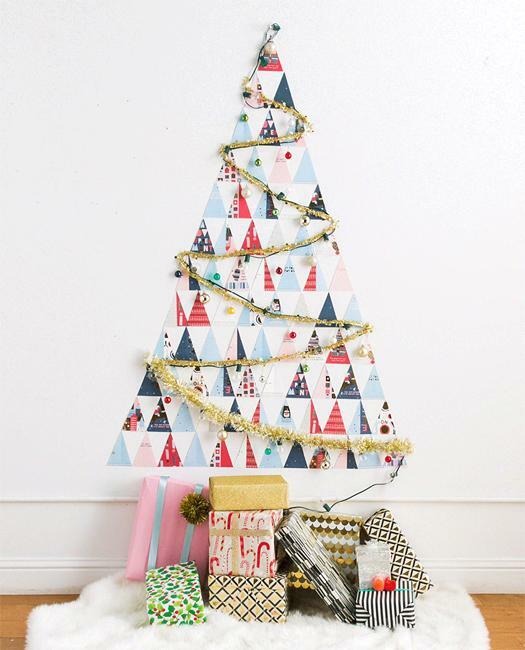 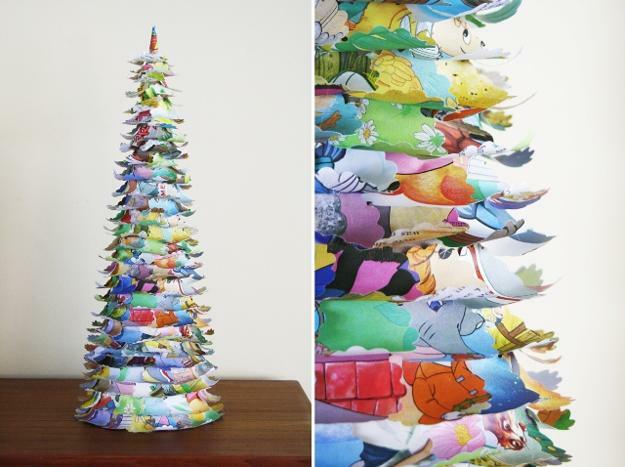 The space-saving and cheap ideas are modern Christmas trends, so the unique wall Christmas tree created with recycled paper will look stylish with all other Christmas decorating ideas. 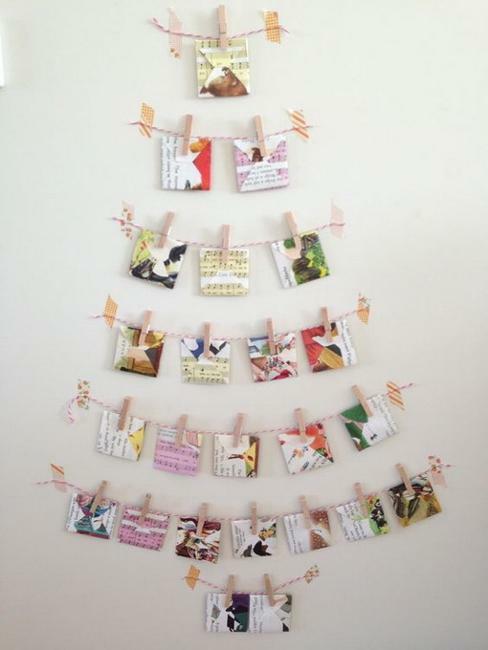 Additional paper crafts and handmade Christmas decorations can enrich the original look of your wall decoration, enhance the spirit of the winter holiday, and demonstrate the meaning of Green Christmas.